Romitaman Original Comic Book Art :: Private Collection :: Spider-Man, Green Goblin, Kingpin, Dr. Octopus Published Pinup SOLD SOLD SOLD! 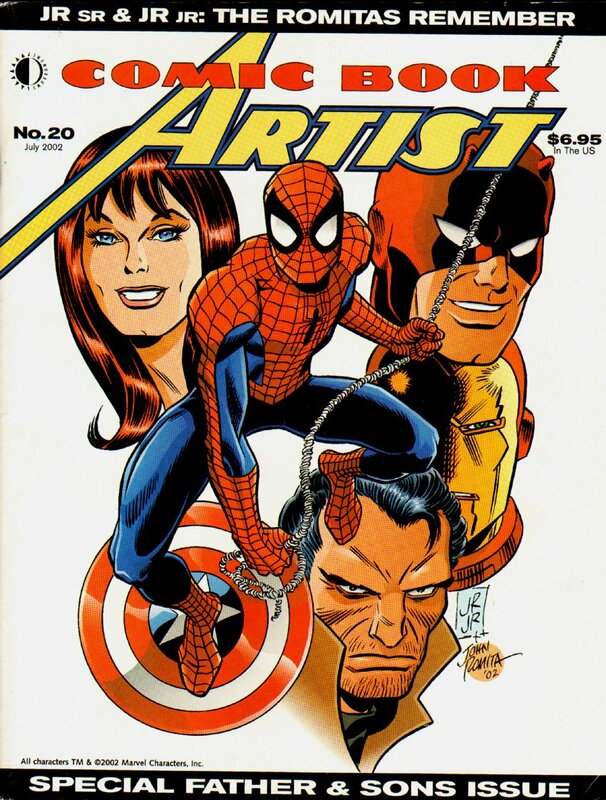 by artist John Romita Sr.
Click Here To See Comic Book Artist Magazine #20 page 24! Click Here To See Comic Book Artist #20 Magazinek! Check out this SWEET pinup which was penciled by the great John Romita Jr. and inked by his also famous dad: John Romita Sr! 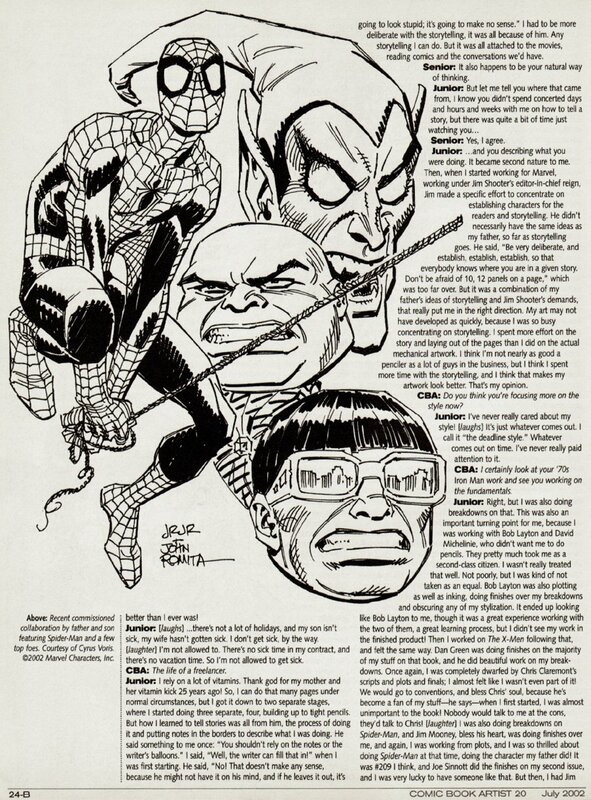 This great drawing was drawn on 10 by 13.25 inch art board, featuring a great FULL BODY image of Spider-Man, with very detailed close up head shots of arguably Spidey's 3 greatest villains: Green Goblin, Kingpin, and Dr. Octopus. This great piece of art was published in the 2002 COMIC BOOK ARTISTS #20 and was featured as the loan huge drawing for page 24. VERY little artwork drawn by this great father and son art team ever makes it out to the public, as these 2 great artists almost always keep the artwork that they draw together...and fittingly so! 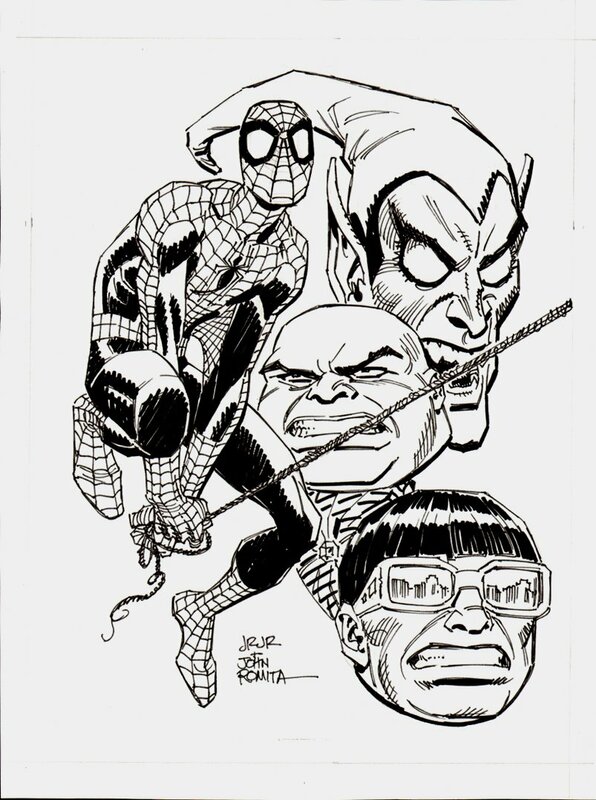 John Romita Jr's pencils and John Romita Sr's lush inks make this piece truly special! Compare this artwork to the published pinup in the red link above!